On 4 September, in-between two hail storms, a new bee enclosure at Waite was opened. 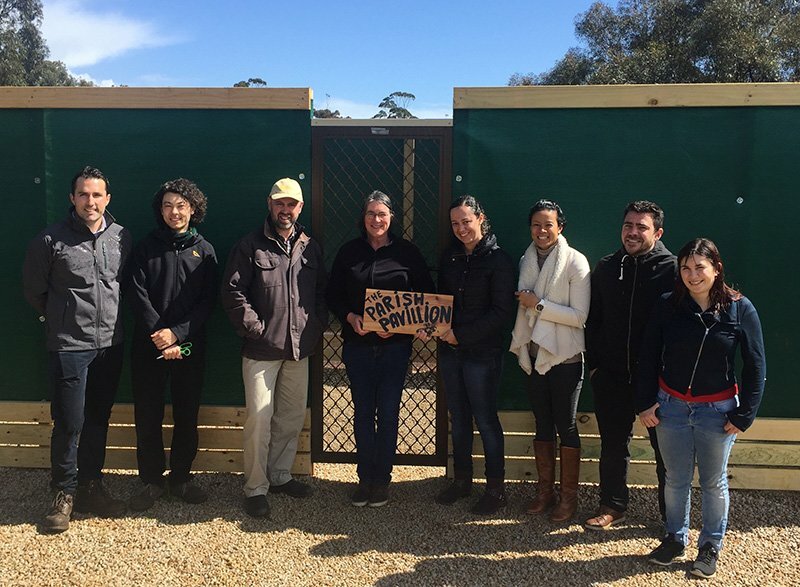 The enclosure has been named the ‘Parish Pavilion’ after Jo Parish, who is a driven honey bee researcher currently in the second year of her PhD in the School of Agriculture, Food and Wine here at Waite. Located behind the bird cages to the north of the Coombe orchard, the Parish Pavilion will become an integral part of the new orchard. While it will house honey bee hives for research, the location of the enclosure ensures good pollination of the orchard. 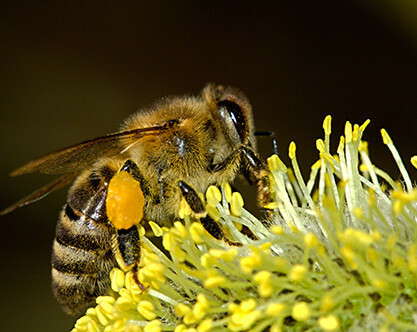 The trees that rely heavily on bee pollination will be placed close to the enclosure which is designed to ensure that the bees fly up and out and do not interfere with workers in the orchard. Thanks to Ben Pike, Phil Earl and Stuart Matthews for making this happen! Pictured (L-R): Scott Groom (Post-doc), Jay Iwasaki (Visitor), Ben Pike (School AFW), Katja Hogendoorn (Research Associate), Jo Parish (PhD student), Beth Fung (PhD student), David Vogel (Post-doc), Laure-Anne Poissonnier (PhD student).